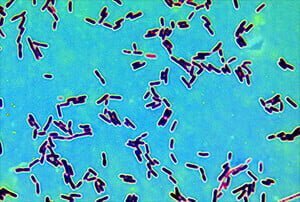 Food supplement with lactic acid bacteria. Contains vitamin D and contributes to the normal functioning of the immune system. Pack contains 16 capsules. Immuno Vida is a food supplement containing lactic acid bacteria and vitamin D. Vitamin D contributes to the normal functioning of the immune system. If you would like to strengthen your immune system, then please click here to buy Immuno Vida in our web shop. Our immune system is really a marvel. It can distinguish between foreign and the body’s own. Without the immune system, we would hardly be able to survive. It is therefore important to keep our immune system healthy by eating healthy and following a well-balanced diet. In addition, dietary supplements with additives that support the normal functioning of the immune system (e.g. vitamin D) are vital. Immuno Vida contains 7 different strains of lactic acid bacterial cultures. These strains are considered physiologically beneficial when consumed with a well-balanced and varied diet. Vitamin D3 (Cholecalciferol) is a precursor to Vitamin D, which is converted in our body into the physiologically active Vitamin D . However, the light intensity and thus the formation of vitamin D3 is influenced by many factors, such as the position of the sun, the altitude above sea level, the weather etc. Anything that is pushed between the radiant sky and the skin can have an influence on the rate of the body’s own vitamin D production. Immuno Vida is rich in vitamin D. This contributes to a normal functioning of the immune system. People who rarely spend time in the sun or use sunscreen products extensively. 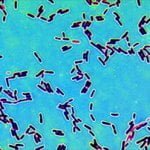 People who want to benefit from physiologically favourably assessed lactic acid bacteria cultures – in addition to a balanced and varied diet. What are the advantages of Immuno Vida? Contributes to the normal functioning of the immune system (courtesy of Vitamin D). Contains 7 different strains of bacteria and 100 million bacteria per daily dose. Immuno Vida contains 16 capsules of lactose, hydroxypropylmethyl cellulose, lactic acid bacteria cultures (L. animalis, L. acidophilus, L. bulgaricus, L. lactis, B. bifidum, B. longum, B. lactis), brewer’s yeast, milk fermented by lactobacilli, chondroitin sulphate, cholecalciferol (vitamin D3). We only use Vegi capsules made of vegetable material (HPMC) without gelatine. We have Immuno Vida in stock. 1 capsule every second day, to be taken with ample fluid. Food supplements are no substitute for a varied, well-balanced diet, fresh fruit, vegetables and a healthy lifestyle. Keep the product cool, dry and out of the reach of children. Do not exceed the recommended dosage. Buy Immuno Vida online now! 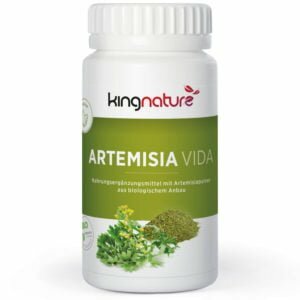 Buy Artemisia Vida capsules online now: We also accept Visa / Master Card and Postcard. Salvestrol 2000 contains phytoalexins from bitter oranges, grapes, blueberries and blackberries. 60 fruit complex capsules… .. Capsules with Artemisia and Vit B6, B9, B12. Artemisia annua from Swiss organic cultivation. 72… ..